Ms. Satyasri Gupta is a young vibrant educator, with full of innovative ideas that transform the way complete learning process is looked at. 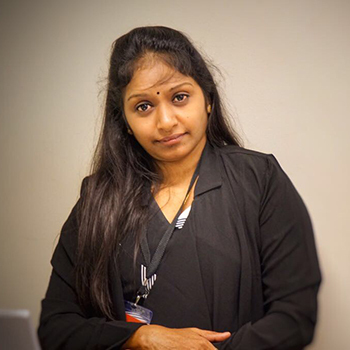 She's graduated in mathematics and computer science from Archarya Nagarjuna University and took her Masters in Mathematics from Osmania University. She also specializes in child psychology and Vedic Mathematics. Curriculum design, authoring series of math books, teacher training, implementation of technology in classroom-she has been active, creative and successful in various arenas of education. Ms. Satyasri Gupta has more than a decade of experience as a teacher, subject matter expert, academician and other high-grade posts in prestigious educational institutions. In Addition to conducting various workshops across the country, her recent visit to Finland to represent a reputed institution to attend a conference on the best practices in school education across the world enables her to bring international standards of education to Indian schools.